Recently The Scoreboard Man installed another scoreboard for The Hamilton Wentworth Catholic District School Board, at St. Joachim Elementary School in Ancaster, ON. 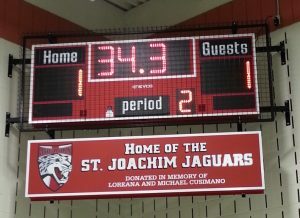 With the very generous donation from Dr. Steven Cusimano and his foundation, The Loreana Cusimano Memorial Trust Fund, St. Joachim ES was able to obtain a brand new Nevco multi-sport scoreboard Model 2700-NL with memorial ID panel. 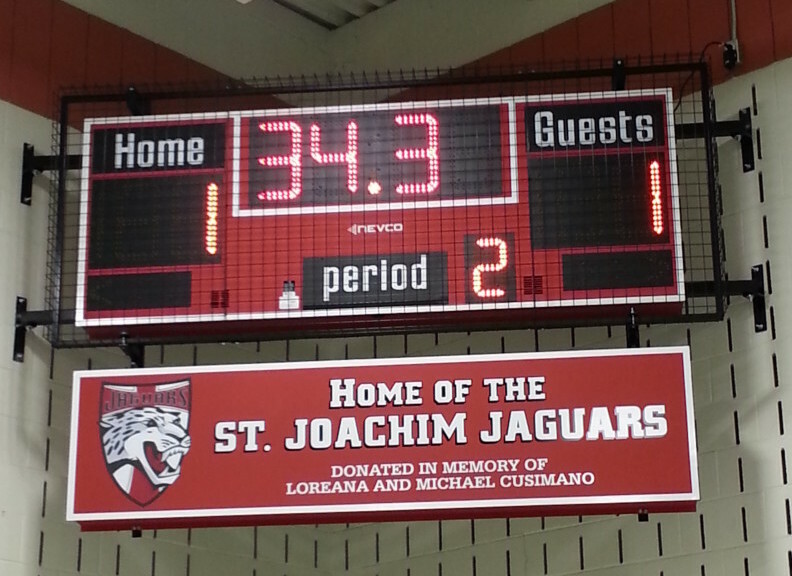 The scoreboard will add both school pride and professionalism to the gymnasium for many years to come. A wonderful and lasting way to give back to the community and make a difference in sport! Please contact us today if you or somebody/business you know is looking for a way to give back to school groups within the community in a athletic capacity.